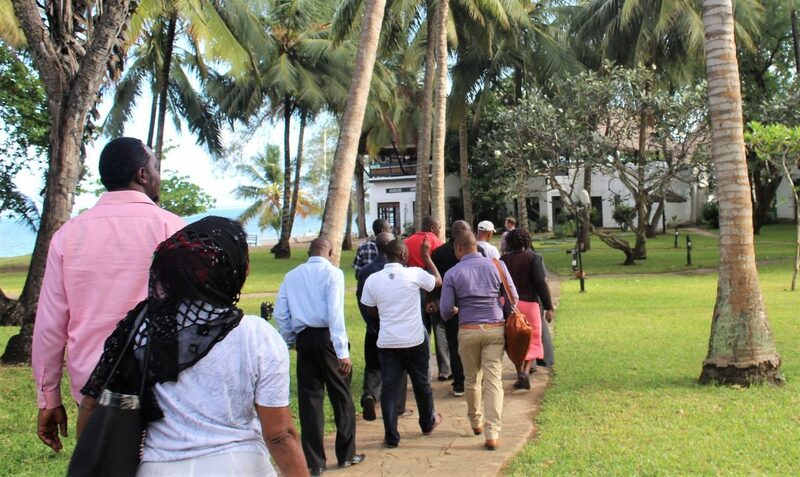 Between 19-21 September, Civil Rights Defenders held a combined training on security management and Natalia Project in Mombasa, Kenya. Respect for civil and political rights continues to decrease in many parts of the world. In 2017 alone, more than 300 human rights defenders were killed, and many more attacked, harassed and threatened. In order to meet the need for safety and protection against attacks, Civil Rights Defenders organises security training among human rights defenders. Our most recent training was held in Mombasa, Kenya. Security training is part of Civil Rights Defenders’ work to ensure that human rights defenders at risk are able to continue their work protecting and promoting human rights. Our most recent training, held in Mombasa, Kenya, in late September, was focused on security management, and combined with sessions relating to our security system Natalia Project. The participants at the training were 16 staff members from the environmental human rights organisation Center for Justice, Governance and Environmental Action (CJGEA). As a key human rights organisation in the Kenyan coast region, the CJGEA is an important partner to Civil Rights Defenders. A main focus of the organisation is to conduct advocacy work related to environmental human rights issues, and the very core of their work is to share information to the local population about their fundamental human rights, as well to provide legal support when their rights have been violated. The 3-day training provided an opportunity for the organisation to assess risks and increase its readiness to mitigate threats, as well as capability to act in crisis. The training also provided an opportunity for more staff members to become engaged in the Natalia Project, with a focus on tailored security training and additional protection measures through the network. Phyllis Omido is a Kenyan human rights defender and a Natalia Project participant. One participant that was reached through the training was Phyllis Omido, the founder of CJGEA and a distinguished human rights defender in Kenya. 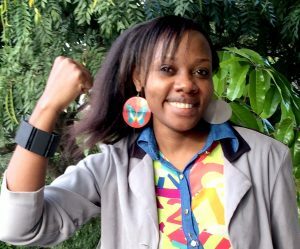 In 2014, Phyllis was one of the first Kenyan human rights defenders to be included in Natalia Project after attending security trainings organised by Civil Rights Defenders and equipped with an assault alarm designed to protect her in the case of an attack. Since 2014, Civil Rights Defenders has expanded our reach to human rights defenders in Kenya in response to the increasingly difficult situation for defending human rights in the country. In addition to Phyllis, more human rights defenders from the region have been included in the Natalia Project. Several of the participants describe that the security project contributes to a greater feeling of safety and wellbeing. “Seeing the efficiency of the security device during the training has given me the positive motivation I needed to continue with my work. It was a great honour to learn about the Natalia project,” says Davis Nyambu, a human rights defender from Taita Taveta. “I believe the Natalia Project is very important to human rights defenders all over the world and Civil Rights Defenders should keep up the good work. The training has given me sufficient knowledge on security management. The devices provided will also help immensely in boosting my colleagues and my own confidence as we carry out our work,” says Habiba Fora. “Natalia Project has given me so much confidence while carrying out my work. With the knowledge gained I can be able to recruit more individuals to my line of work with no fear of putting their lives at risk,” says Emily Katana, Project Officer at CJGEA. In 2017, Civil Rights Defenders reached a total of 268 human rights defenders through various trainings on digital security, security management and psychosocial security. Since the establishment of the Natalia Project in 2013, more than 100 participants from the Western Balkans, East Africa, Central Asia, Latin America and Southeast Asia have been included in the network.